Big data as a business topic shows no signs of cooling off. And many of its proponents welcome what they consider to be long overdue attention to the idea of running your business on evidence. And the message is not one for IT but for all managers. Philip Kotler has said that marketing “is becoming a battle based more on information than on sales power.” But.. hype brings with it a threat of desensitisation. Does data really matter to little old us? In short, yes. The message we’ve been hearing is that analytics is as much about small data – the untapped data flying around in your own business right now – as it is about big data. More importantly, the challenge is not the technology (according to the analysts it’s been lying in wait for a while) – it is in learning how to ask the right questions of your data, and reacting accordingly to the answers you receive. But where to start? 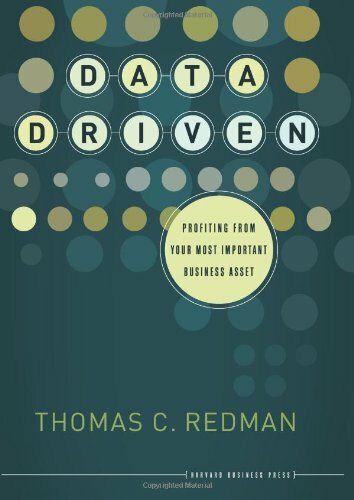 Enter the “Data Doc”, Dr. Thomas C. Redman, bestselling Harvard Business Review author, President of Navesink consulting and all-round data evangelist. He was at IMI’s National Management Conference earlier this month (see our twitter feed for the live stream) and we have seized the opportunity to have him prescribe us our data medicine. Irish Management Institute: Amidst the hype of big data and data analytics – give us six words that outline the real imperative for business as you see it. TR: Learn To Compete With Data. Now! TR: It’s pretty simple really.There is a lot of buzz about analytics, big data, data-driven companies, and the like. Deservedly so. These concepts lie at the core of a “data revolution” that will touch every industry, every company, every department, and every job. But they are not enough. Simply having a bright idea, from some clever big data analysis is only step one. You have to turn that idea into an advantage. Further, big data is not for everyone. But there are plenty of ways to leverage small data to create advantage. I’m taken by the potential in simply improving data quality. And in providing better content through becoming more information-based. And of course the trick is not to do any of this once, but to use data on a consistent, long-term way. Organizations have to figure out what’s right for them–hence the focus on learning in my six words! TR: My recent HBR blog post Bridging the Gap between IT and your Business – and my website www.dataqualitysolutions.com. So, in summary, you should believe the big data hype – but don’t feel it’s relevant only to others. You need to make it part of your competitive strategy now. Our advice? Before you even ask about the technology, spend some time considering: what is the question that you want to ask the data? And are you ready to react when you get it? If you’re interested in learning about how to compete on big data and data analytics see the UCC/IMI Diploma in Data Business and Diploma in Cloud Strategy (which starts on 20th November). If your focus is on marketing the Diploma in Marketing Strategy with Digital Marketing focusses on how analytics and digital strategies can transform your approach. See more posts on big data and data analytics or read the whole Six Word Wisdom series to date.